We are offering wide range of Industrial Mounted Points for Aerospace Industries. Mounted points with vitrified bond are ideal for both small job shop applications and high volume foundry operations. Our vitrified mounted points will give you a ..
Grindwell Norton presents SpitFire Mounted Points, a vitrified offering of high quality. 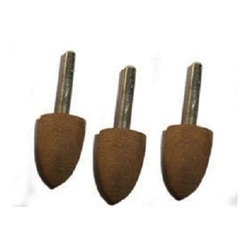 Stock mounted points are available in a variety of abrasives and a full range of standard shapes and sizes, to suit every end-use. Mounted Points are capable of reaching places inaccessible to larger types of Grinding Wheels. It can be used safely on hi-speed portable grinding machines. 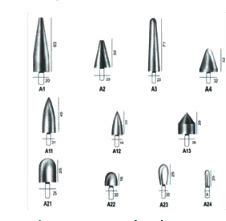 Sterling's Mounted Points are available in various abrasives to suit every need of the end user.